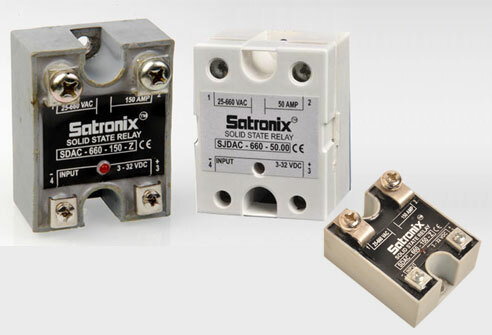 Reverse Voltage Protection For DC/AC Relay. SDAC-660-.. series is a SINGLE PHASE CAPACITOR SWITCHING SOLID STATE RELAYS – DC –AC from Satronix. It has two control options DC control with 3-32 VDC control voltage and AC Control with 160-280 VAC control voltage. It has rated operational voltage of 25- 690 VACrms and current options of 50, 75, 90 and 125 A. Also available in 150, 175 and 205 Amps. It has a built in snubber for protection from reverse voltage. It is used in Power factor correction systems and other capacitor switching applications and for heavy industrial loads.